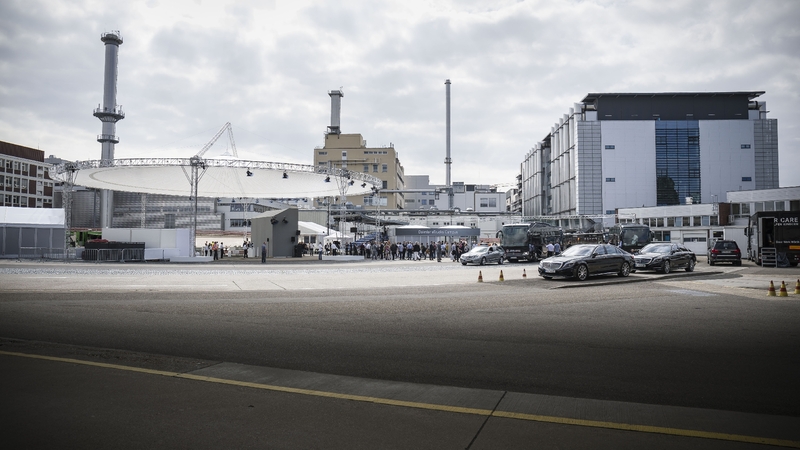 7 weeks before the IAA for commercial vehicles Daimler AG, in the context of a sneak preview, invited 200 international journalists for a preview of the current technology concepts in the field of electric drive. Special challenge was to hold the event, without affecting the general test operations on the in-house test track in Stuttgart. Combinations of various temporary constructions and an appropriate food concept, made it possible to successfully present the reveal of the first battery-powered truck for the inner city and heavy distribution. After the dynamic presentation of the Fuso Canter E-cell and the still fully camouflaged MB urban eTruck, there was the opportunity to learn in detail about the innovations of the Daimler electric vehicles in two technical sessions.